We are a training academy for preparing students to get a job in private sector banks. We render professional courses and also help them in grooming their personality for getting a reputed position in good private sector banks. We then place our students in banks as per the students' and the banks' need match. 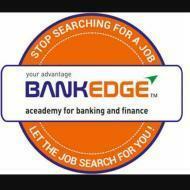 Advantage Plus Bankedge conducts classes in Bank Clerical Exam Coaching. It is located in Gopalpura Bypass, Jaipur. It takes Regular Classes- at the Institute.